Yesterday morning, we received a competing bid for the operating business, along with Clearlake's offer, and numerous offers for separate assets. the Chapter 11 case. We will make every effort to find appropriate buyers, if possible." 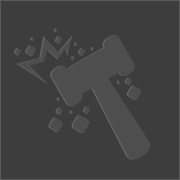 "My name is Ben Cureton, and I was the Lead Combat Designer at Vigil Games. I'm sitting at my desk among... what appears to be a warzone. The walls look bare. It's quiet. We've all been on edge for the past couple months... and more so, the last couple weeks. I mean, I'm sure you can imagine what it's like to wonder if you will have a job tomorrow. Most of us here joked about it just to keep the mood light, but we all knew what could happen. Now I look around and I realize... it did happen. ... so maybe you can imagine what it feels like when you read the list of who bought what only to discover your name is not on the list. Why? Did we do something wrong? Were we not good enough? Were we not worth 'anything?' Imagine that. Vigil was filled with people that I would put up against the best in the industry. People that made my work better, people that made me a better designer, and people that made me a better person. And now they are gone. It's OK, though. I guess this post makes it sound a bit melodramatic. Seriously... if you work in the video game industry you have to be resilient. Doing what you love often comes with a price - anyone who has been around for a while can tell you that. Today, that price has been paid. That being said, I'd still never dissuade anyone from following their dreams if their dream is to make video games. While it's not as romantic as it sounds, it's sure a hell of a lot of fun. So don't cry for the people at Vigil. We made games for game players. I have no Horror stories from working here... only Honor stories. Through both praise and critiques alike, our goal was always to make a product as if we, ourselves, were the end-user. We may have gotten pushed and pulled in certain directions by forces out of our control, we were always in it to make games for game players. And that's what we did. I can only hope that those spared from the other companies remain employed long into the future. There is not much worse than false hope, and these people deserve to continue making great games. You may not know their names, but they exist, and they bleed, sweat, and cry for your entertainment. I mean that honestly, with no negativity. They do it... no, WE do it... because we want you to have a good time. 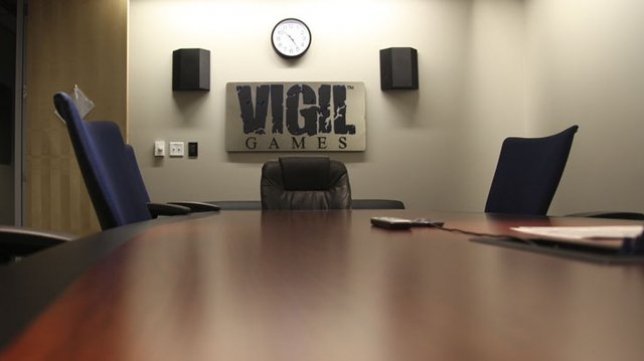 In closing, I can only say thank you to the fans of Vigil games. Your support means more than you can imagine. Your feedback (both positive and negative) gave us long-lasting insight that we will all take with us, wherever we may go. You are the reason we made Darksiders 1 &2... and you are the reason we will continue to make games. And with that... my seat is empty. P.S. This is no place for a horse." Ending on a humorous note, it seems that Ben, no matter his disappointment with the outcome remains optimistic. A good thing too, as some possible good news has come of it as well. This twitter conversation reveals that there might just be a position for Ben at PLATINUM GAMES. You know, just those guys who make those brilliant action games, and who are soon to be releasing the new Metal Gear Rising. Keep your head up Ben, hopefully we'll be seeing more from you soon. If they can hire most of Vigil... than and just than i will be happy. I cant really see it made by anybody else. Darksiders frachise has grown to my heart and if it were to be made "Platinum" sty... i just dont feel right about that. If they acquired the whole studio then it might not be so bad but if they took only the IP then its a tragedy. Imagine Darksiders from Japan - a tragedy!